Even though Goeneutte was associated with the Impressionists, he did not exhibit with them in their landmark exhibitions in the 1870s, but instead preferred to show at the Salon. However, he shared their interest in depicting contemporary Parisian subjects, often bordering on the realism or naturalism of Jean François Raffaëlli. And, while Goeneutte’s painting style was more conventional, his first successful Salon submission in 1876, depicting the Boulevard de Clichy in the snow, was very impressionistic in its paint handling. Clearly, he was not immune to the new ideas of his fellow artists. Goeneutte relocated to Auvers-sur-Oise in 1891, where he became a patient of Dr. Gachet. Vincent van Gogh had also been drawn to this region at the end of his life. Both artists painted portraits of Dr. Gachet, with Goeneutte’s painting being shown at the 1892 Salon. 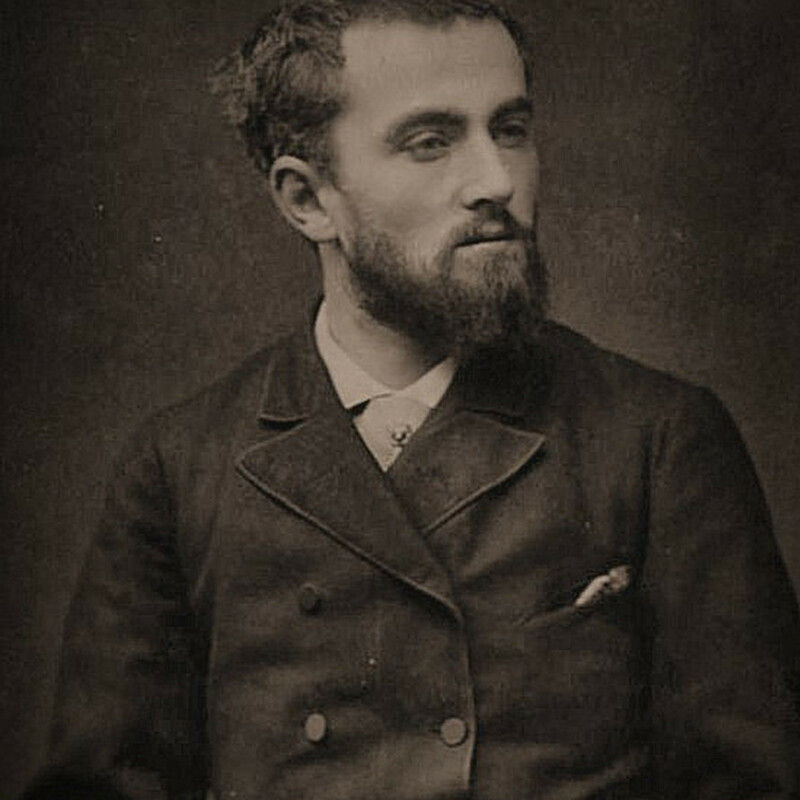 Goeneutte died in 1894 at the age of 40 and is buried at Auvers-sur-Oise, not far from the grave of Vincent van Gogh.